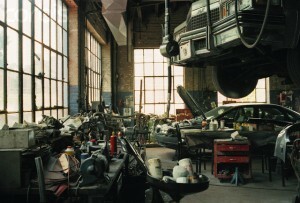 Have you ‘Visited’ your auto body shop lately? One of the things I like most about my job is that I get to see our products in action. When I am visiting a shop to see specific products, I also get a perspective of processes and the overall professionalism of the shop. Over the past several months I have made several observations that seem obvious to a visitor but went unnoticed by the shop team that was there every day. The following notes are not intended as ‘Duh’ comments, but as simple things that can make a shop more professional and profitable. Warning: some of these are going to make you say, “Isn’t that obvious?” Yes, but in our everyday lives, not seeing what is obvious to a visitor can slow productivity, decrease quality and decrease safety. 1. Why wouldn’t you use tools that are in good condition? Pulling chains and clamps with excessive wear are dangerous and require extra work to use. Do you inspect your frame machines and lifts with hydraulics for damaged hoses, leaking components and pumps that do not properly build pressure? Just like components in a vehicle, these are wear-items that are intended to be replaced. 2. Save money in the long run by taking a look at the condition of your spray booth elements every week: filters (intake, exhaust and makeup unit intake), door latches, spray equipment and fan belts. 3. Do you know what the factors are in your shop that will cause a fire: oily rags, open paint containers, unclean spray equipment, and excessive paint build-up? Don’t lose what you have built because of poor housekeeping. 4. Messy = Dirty and Organized = Creditable. 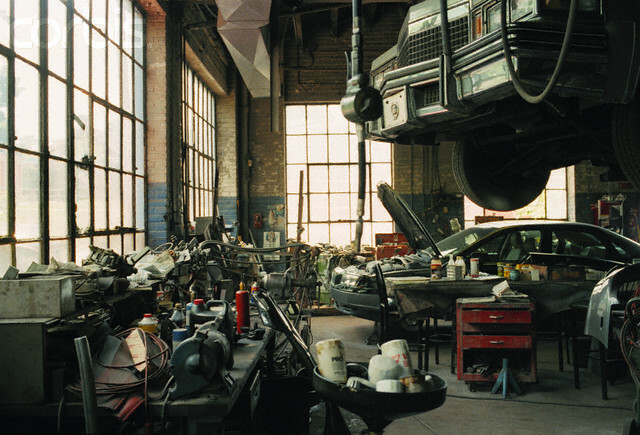 Does your shop look tidy to a customer, or will they want to go to your competitor? Vehicles are not simply a device to go from A to B. For most people, their vehicle is the second most expensive thing that they own. They would like to take it to a clean, organized shop because it conveys to them that you know what you’re doing and they can trust you. Racks, bins and cabinets can go a long way in organizing your shop. 5. To do the best repairs and charge the applicable fees, you must have the right equipment and the most current technology. Is your equipment matched or is it pieced together? Is your equipment current enough for the vehicles that you are repairing? Are the shop employees excited about the quality of the equipment, or do they see the equipment as their greatest challenge? You know your shop better than anyone else, but sometimes seeing it with a fresh focus on productivity, safety and quality helps a shop owner see their shop as others do. Spending an hour touring your shop with the eyes of a visitor and then visiting our web sites can lead to solutions that have tangible paybacks in sales and employee satisfaction. Call our experienced team if you have questions after you have ‘visited’ your shop.